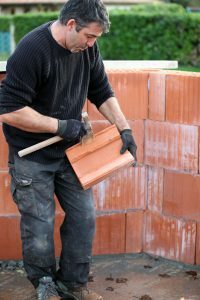 Hand and feet injuries are very common when it comes to working with tools. This can include cuts, strained muscles and tendons, damaged nerves, and burns. Injuries can impact the quality of work, your productivity – and even end careers. Your hands especially are vulnerable to injury. Protecting your hands means choosing and using the right hand tools and gloves for each job that you do. You need to select the right size handle, as well as look for cushioned and non-slippery grips. This can reduce fatigue and increase productivity, improve the quality of your work, and reduce the risk for hand and wrist problems. Awkward wrist positions can lead to repetitive strain injuries and reduce your grip strength, leading to issues with your work. Tools that can be used by either hand are also helpful, so you can switch off when one hand becomes tired. If you find yourself working with one hand only, try switching it up for short periods of time. Over time, your less dominate hand will become stronger and better able to handle the tool. Using the right glove for the job is very important. Make sure the material is durable and thick enough and will provide the protection that you need. If you are working with chemicals, make sure the gloves are rated for that kind of work, so your hands will not be exposed to caustic agents. Make sure the gloves fit snugly and aren’t too loose. Foot safety is also very important. The type of shoe you will need will depend on the type of environment you will be working in. Do you need non-slip soles? Is waterproofing more important? Do you need steel toe shoes to protect from heaving machinery or tools dropping on your foot? The thickness of the material may also be important. And make sure you have a good fit, so you reduce the likelihood of twisting your ankle while working. Hand and foot safety is an important part of working with tool, make sure you have the right equipment to minimize injuries.